When the US government ignored repeated warnings by its own scientists and allowed untested genetically modified (GM) crops into our environment and food supply, it was a gamble of unprecedented proportions. The health of all living things and all future generations were put at risk by an infant technology. After two decades, physicians and scientists have uncovered a grave trend. The same serious health problems found in lab animals, livestock, and pets eating GM foods are now on the rise in the US population. And when people and animals stop eating genetically modified organisms (GMOs), their health improves. This seminal documentary (2012) provides compelling evidence to help explain the deteriorating health of Americans, especially children, and offers a recipe for protecting ourselves and our future. Sheldon Rampton, co-author of some of the most unflinching accounts of fraud and deception (Trust Us, We’re Experts and Toxic Sludge is Good for You) provides a detailed account of the mechanisms by which people are regularly deceived. Himself an “expert” on the workings of the PR industry and the deceptions that large corporations can inflict upon a trusting public, Rampart reminds us that things are not always as they appear and that the motivations of large corporations are generally not in the public’s best interest. While aspartame was the single focus in Sweet Misery: A Poisoned World, Sweet Remedy (2006) demonstrates that a corrupt flagship regulatory agency has given birth to numerous toxins in our food supply. A closer examination of the U.S. corporate power structure unveils a two-fold approach to manipulating the public. First, by attempting to shape public opinion and, second, by affecting an individual’s ability to discern PR from the truth. 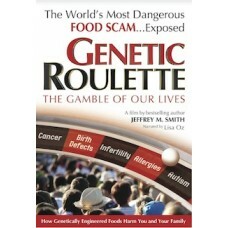 Hundreds of millions of dollars are spent selling neuro-toxic food additives to the public. In the United States and through each nation within its global corporate grasp, maintaining a healthy mind and body is an act of civil disobedience. Ultimately, healing has become the path of resistance for informed individuals improving their health. We interview a host of MD’s and Natural Health practitioners to gain the clearest possible perspective for a path to recovery. Perhaps the sweetest remedy this film offers is the hope provided by witnessing a variety of groups as they withstand the confusion, casualties and obstacles involved with taking control of their food and their health.